Even though we have only been back at school for three weeks, NEGS Equestrian has been busier than ever. We have had girls competing all over the state and doing a tremendous job. 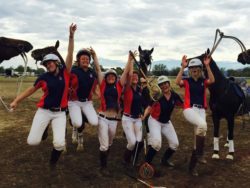 With Nationals done for another year, the girls turned their focus to Inter – Schools Horse Extravaganza (ISHE). 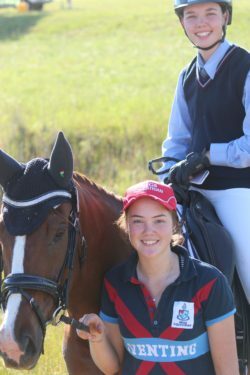 NEGS Equestrian took a record number of 36 riders to ISHE with girls competing in every discipline! Its safe to say that nearly every class had a NEGS girl in it. 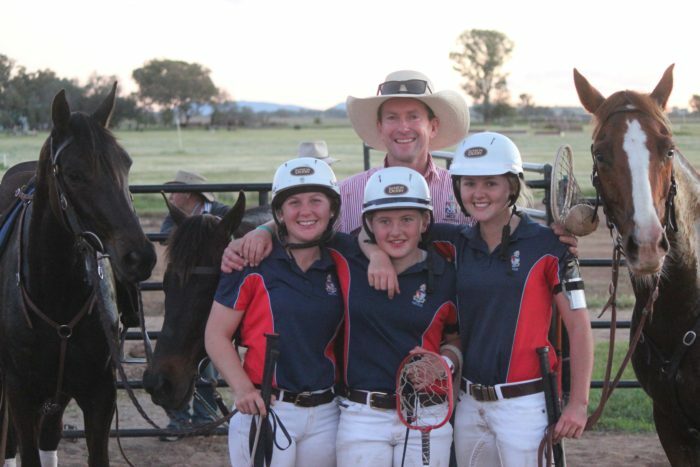 First of all, we would like to say how proud we are of all the girls that rode for the school at ISHE. We were very pleased with how the girls interacted with each other and other schools, remaining positive and showing their good sportsmanship and nature. We received lots of compliments from fellow competitors about how professional and helpful the girls were. Friday night was a kicking start to the weekend at ISHE with the Polocrosse girls fighting it out against Calrossy. It was a nail biting finish that went to golden point with Madison Teague, Abby Finlayson and Josie Wilson on the team! This was a tough game that showed off the skill and talent of our girls. They fought until the last second, bringing home the win. Jessica Towns really stood out in the showjumping. She was the winner of all three classes in the 1.15m, jumping clear in every round! This led her to being the senior champion of the class. We would just like to point out what an achievement this is. 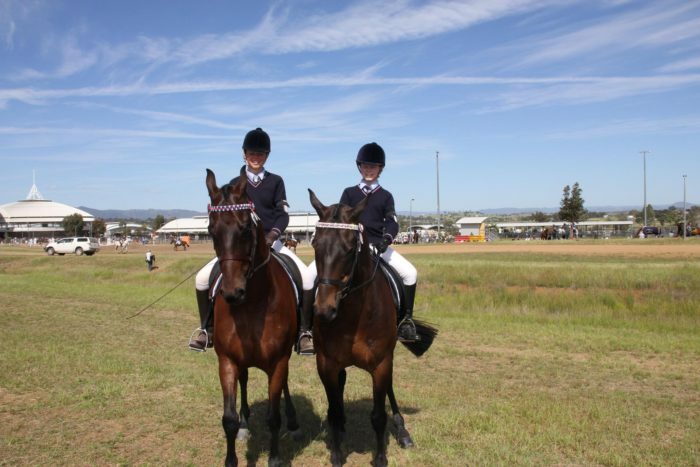 Jessica is a very clever rider who manages to take lines and distances that most riders wouldn’t. Her success really is a credit to her horsemanship and gutsy nature! After all, she always says she’s “in it to win it, whatever it takes”. Matilda McCarroll really outdid herself with her partner in crime, Tom (Chironic High Noon). 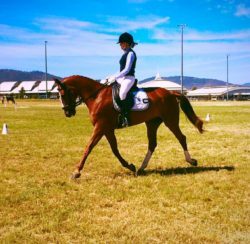 After pulling him out of retirement, they managed to win not only the EVA105 eventing, but were overall champion in level 5B of dressage. This is a talented combination, Matilda rides him brilliantly, allowing him to do his job without interfering. She is subtle with her corrections, showing the trust that she has in her horse. Olivia Ruzsicska was impressive on all fronts. After moving all the way to Armidale from Darwin with her horse, Wizard (Warrego Dumbledore) they are showing NSW what they are made of. 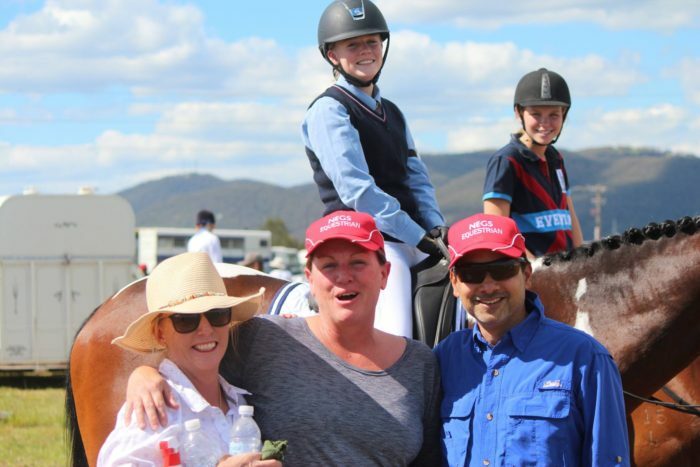 With her parents along side her, Liv and Wizard absolutely nailed their dressage tests, being overall champion by 5 points. 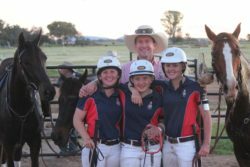 They also received the highest percentage of any horse and rider combination at ISHE. We are very proud of this achievement and it really is a credit to her dedication. Liv does not settle for anything but the best and is always striving to be better. She trains very hard and does not let anything slip. She utilises each instructor here at NEGS, adopting and trying different techniques to achieve her immediate and long term goals. 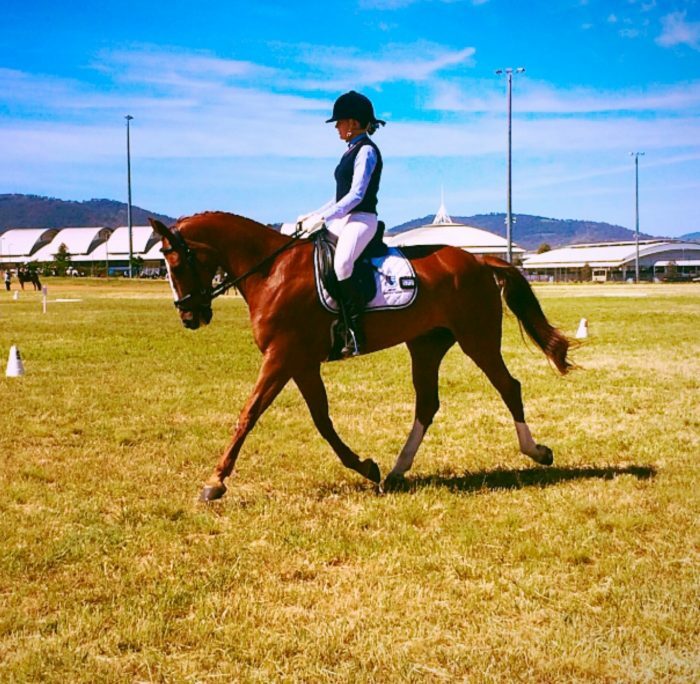 Whether its Imti and Rachelle schooling her dressage tests or Rob helping her with her halts, this girl takes it in her stride and shows it off in her tests. 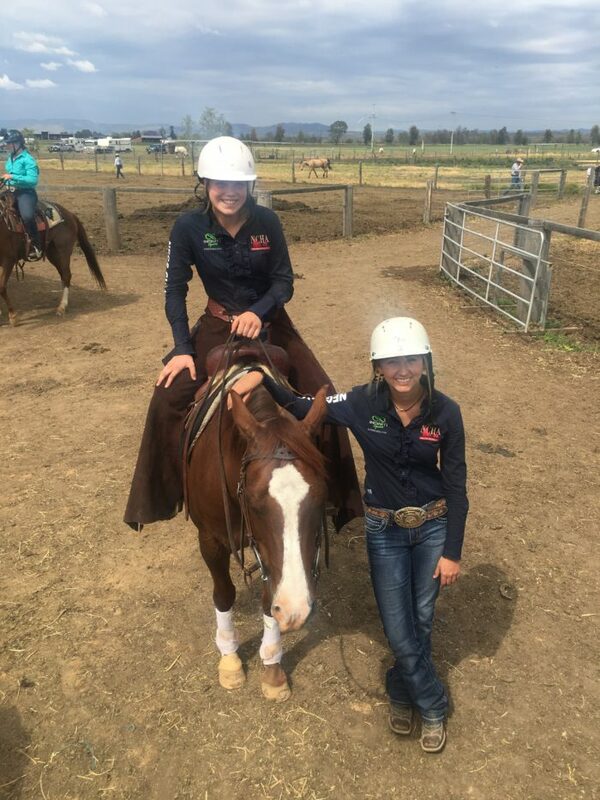 Brie Aitken really did an excellent job on her mount Legs (Wenona Overlander) to prove the versatility and talent of both herself and her horse. 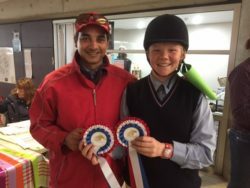 They managed to place in everything that they entered and were crowned overall champion of the 65cm show jumping as well as winning supreme rider at ISHE. There is an exciting future ahead for this pair and we are very much looking forward to seeing just how far they can go. Katie Hancock performed superbly on a catch ride. After her horse was out, she caught the ride on a friends horse, Barney. 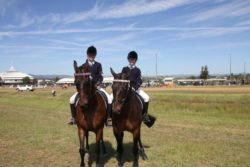 Despite having only three rides before competing at ISHE, she still finished as reserve champion in level 5A of dressage. We were thrilled with how Katie handled herself like a true professional. Even though her familiarity with the horse was limited, she quickly adopted techniques that worked with him and figured out the right way to ride him. We really were impressed with all the girls that represented the school. The coaches and staff had a great time working with the students and children at ISHE and are already looking forward to next year.